Ole Gunnar Solskjaer has no intention of changing his backroom staff after being appointed as Manchester United permanent manager. 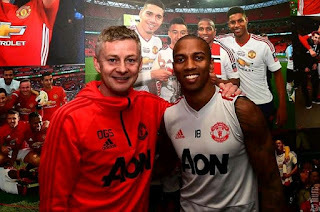 Ole Gunnar Solskjaer retained the services of first-team coaches Michael Carrick and Kieran McKenna following the Portuguese's dismissal and brought ex coach "Alex Ferguson's" long-time assistant Mike Phelan back. The club has not announced if Carrick, McKenna and Phelan will form part of Solskjaer's permanent team, but the Norwegian is in no doubt that he wants them to continue as the are part of his plan. "Mike is a key part of the set-up and they are talking to each other. "Of course, I've voiced my opinion and the set-up we have now, I really hope that's going to continue. The staff we have work so well together, which is key to getting results. "I'm not looking to make any changes there and they've not knocked on my door and said they don't want to continue, so hopefully we'll have the same set."